ProsperWorks CRM has been built to offer deep integration with Google’s G Suite and to make the service look and feel like a Google product. This essentially means that its users don’t feel like they are frequently switching context as they move between different applications. Although this is a popular CRM app, it forces businesses to limit themselves to a G Suite-centric solution! 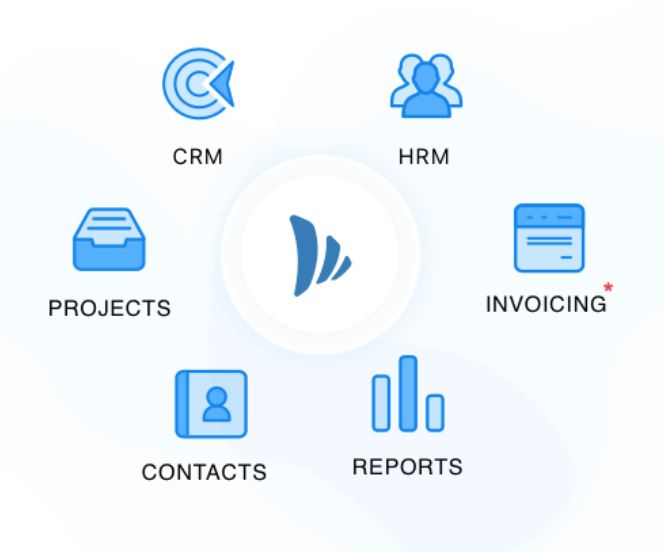 Coming to TeamWave, it’s a complete platform to manage & streamline everything (including sales) in your company: Project Management, CRM & HR. Why TeamWave is the leading ProsperWorks alternative. Prosperworks has raised funding (venture capital) of $87 million till now. Typically, for a funded company the primary focus area is the “MRR” (Monthly Recurring Revenue) and their preference is to go after larger companies/accounts that provide larger revenues. Unfortunately, small businesses may not be considered a priority. That’s the reason why ProsperWorks comes with tiered pricing model with restricts features and the number of users. TeamWave is a bootstrapped company, built from scratch by a small business (digital agency) for small businesses around the world. We have first hand experience (10+ years) of the issues & nuances of running a small businesses. Both of these factors help us stay focused on helping customers rather than providing ROI to investors. Our mission is to provide a unified platform for collaboration, sales & marketing to small businesses at an affordable price. All these have been developed with a clear focus on the usability. ProsperWorks has tiered pricing structure that starts from $19/user/month and goes up to $119/user/month with annual billing. These pricing plans restrict you from using certain features and integrations (example: API). ProsperWorks app is completely centered around G Suite and offers only CRM solution at higher pricing. While it might be suitable for large enterprises, it definitely falls short in case of small businesses who need simple tools that come with native integration of essential business apps and provide powerful features at affordable price.